Aussiedistiller, Home Distilling, Moonshine, Home Brew • View topic - Nice Stainless Pickups - What to use them for? 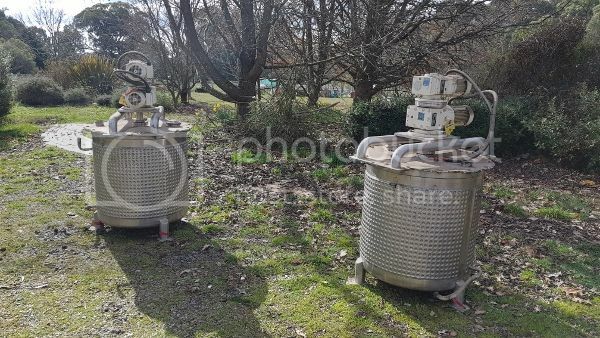 Had the luck to be in the right place at the right time to pickup two jacketed stainless steel vessels, complete with counter rotating stirrers and motors. Couldn't knock them back at the price! Now I have to work out what to do with them. I initially had them in mind for mashing. Any suggestions. Re: Nice Stainless Pickups - What to use them for? They are from a food processing factory. Were used for making flavoured sugary fillings. Quite clean inside. 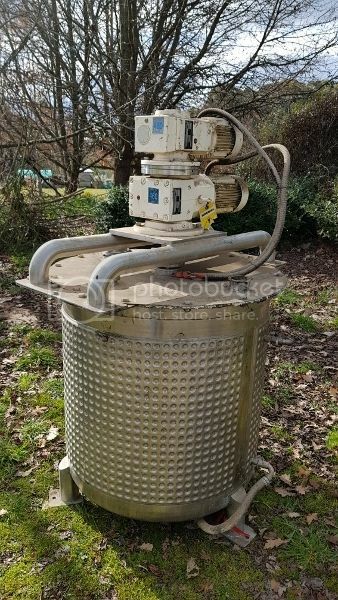 Definitely mash tun :handgestures-thumbupleft: I would like to build something similar one day and use it as a mash tun and boiler all in one. Good pick up mate. Definitely make a great mashing vessel. I hope the motors and stirrers are ok with some heat added though.